Devin Townsend is a once in a generation talent and the fact that he's my generation only enhances my love of his work. I'm sure the fact that he grew up with the same backdrop of musical culture contributes to the fact that his music really connects with me. Or perhaps it's just that good. When I put on the earphones and listen to Ocean Machine, I get lost in another world. The beautiful thing is the music is actually uplifting, energizing, and colorful. So much of the post metal scene is cold, depressed, or angry. Though Devy certainly taps on those emotions, his music never seems depressing. It's full of energy, invigorating. 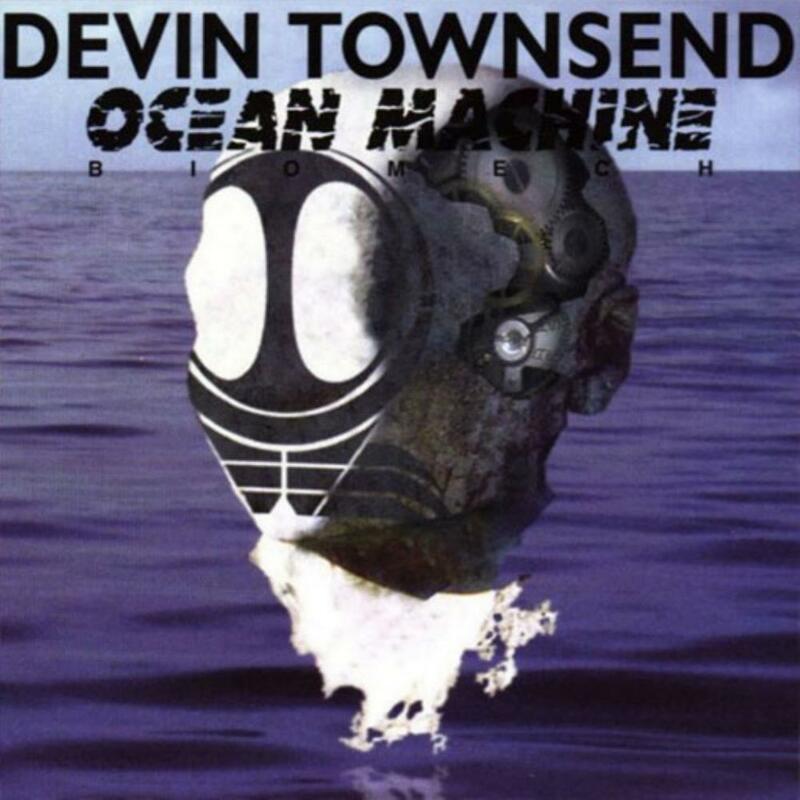 Ocean Machine, I believe, was the first time Devy created the (relatively) softer, multi-layered, semi- ambient sound that now has become his trademark. His modally tuned guitar was already heard on Strapping Young Lad, but the fully range of tone color really wasn't expressed until this project. Townsend worked on this for some time, writing some of the material as far back as his stint with Steve Vai. The result is nearly flawless, and the few tripups are minor at worst (The nasty surprise at the end, the ambient effects being just a little too loud on "Sister", etc.). The songs flow seamlessly one to another, despite running from aggressive metal to pure ambient keys to near a cappella voice to pop. The pop is usually what loses my interest on Devy albums, but here the instrumentation is so good (like the back beat riff on "Life") that the major melodicism doesn't bother me. The flow and sequencing is phenomenal, the entire album seeming like a continuous experience. The songs are still distinct, with varied feels in the guitar, vocal tonalities, and use of keys. This has been a review I've put off a long time, because I don't have much to say other than "It's awesome." The later Terria has better production, hit higher highs of brilliance, but doesn't flow as perfectly start to finish. This is the one to lose yourself in, eyes closed, laying back with good headphones. It's just beautiful metal-based art music, a masterpiece.